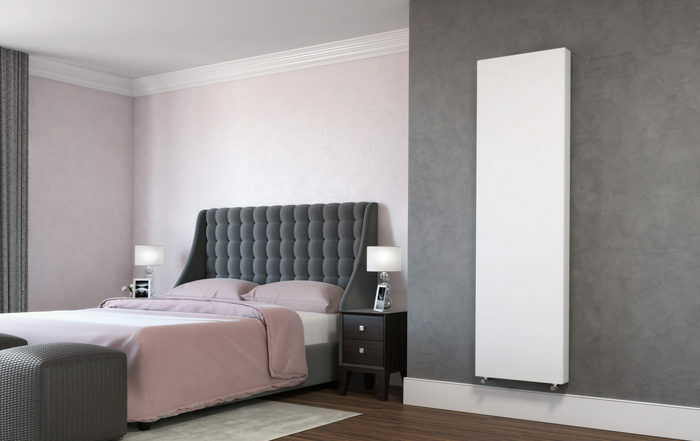 While it used to be that there was really only one design of radiator to choose from, this is no longer the case and there are plenty of amazing designer radiators for you to choose from that are sure to fit perfectly in your home. One of the great things about choosing a radiator that is not your standard horizontal one is that you can save lots of space in your home. For many people, not having enough space in the house is a real issue and, you will want to ensure that your new radiators fit your lifestyle and are appropriate for the space that you have as no one wants their heating bills to go up! Here, we are taking you through the perfect designer radiators for small properties, that will save you space and hopefully money on your bills too! If you are looking to save space in your home with your new designer radiators, why not try and make them multifunctional? For example, in your bathroom, you can kill to birds with one stone by having vertical towel radiators installed. In your hallway, this type of radiator can also double up as a drying rack. So, not only can you enjoy a heated bathroom and cosy warm towels, but they are also aesthetically pleasing and look very stylish. Vertical designer radiators have become very popular in recent years as they are perfect for saving you space. When you have a small amount of space to work with, choosing where to fit a radiator can be a struggle but with thin width vertical radiators, this does not have to be a stressful situation. These designers radiators look fantastic heat output making them a great option for most people! If you are not keen on vertical radiators, not to worry as there are plenty of great horizontal designer radiators for you to pick and choose from. Compact radiators are a fantastic option and they can fit in smaller space such as under window sills. With lots of different styles to choose from, you are sure to find a model that will suit your home perfectly. Just because a radiator is small, this does not mean that it cannot pack a punch. These designer radiators can be incredibly stylish with lots of different shapes, sizes, materials and finishes to choose from.